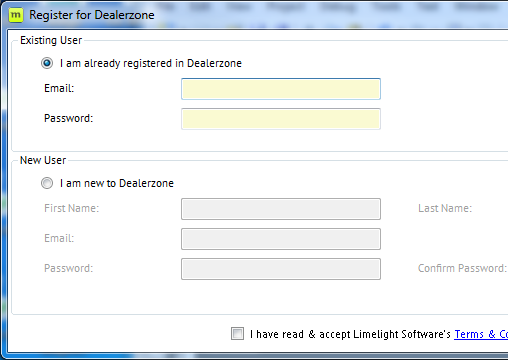 You must have an existing Dealerzone account to complete the instructions below. 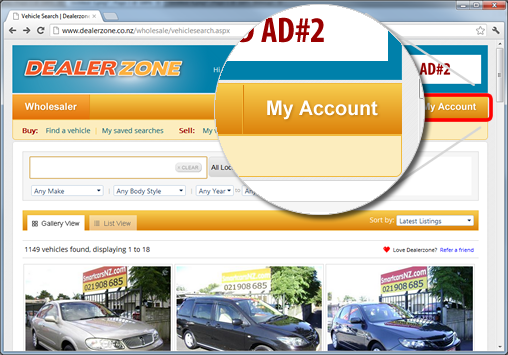 If you don't already have an account you can register for Dealerzone here. 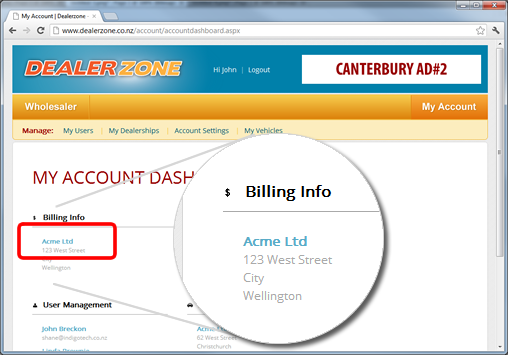 Begin by logging into the Dealerzone website with your Dealerzone account details. Once logged in navigate to My Account from the main menu. From the Account Dashboard click your Account Name under the Billing Info section. 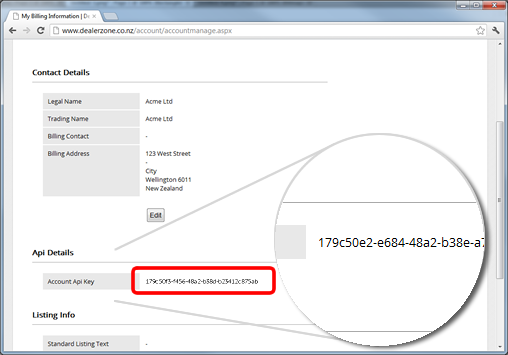 Your API Key should be listed under the Dealerzone API Key section of your Account Settings and will be in the format xxxxxxxx-xxxx-xxxx-xxxx-xxxxxxxxxxxx. 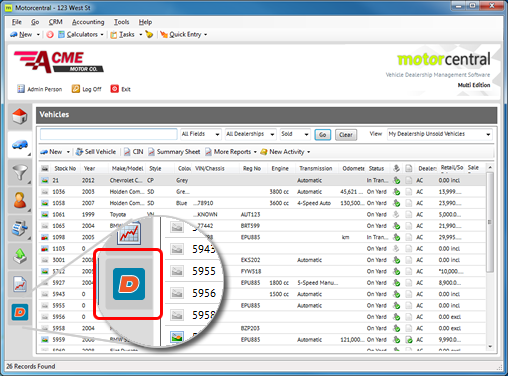 Copy (CTRL+C) and paste (CTRL+V) the entire key to the Dealerzone API Key field within Motorcentral (located under Tools > Extensions > Listing Agents > Dealerzone). To verify your connection is working return to the main Motorcentral screen and click the Dealerzone tab in the Navigation menu. 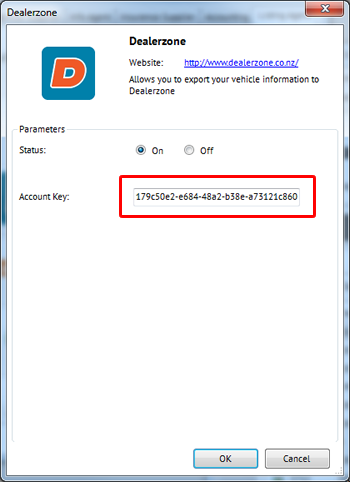 If you have correctly configured the Dealerzone API settings you will be prompted to login using your Dealerzone account or register a new user.